What Are the Benefits of Tincture of Thyme? You may be familiar with thyme as a cooking herb, used in many recipes for different cuisines. But thyme is also a part of traditional herb medicine, thought in medieval times to provide courage and strength to those who consumed it. Today, thyme is recognized for several properties that may make it of medicinal value. Consult your doctor to discuss using thyme medicinally before adding it to your routine. There are many different species of thyme, but all are perennials and members of the mint family that contain natural chemicals called terpenoids. Terpenoids are components of the oil in the leaves of the plant. Thyme leaves may be extracted with alcohol to make a tincture, which contains a number of biologically active compounds. These include chemicals called thymol and carvacol, two oil-soluble components with medicinal value. Thymol and other components of thyme act as expectorants that help expel mucus from the respiratory tract. 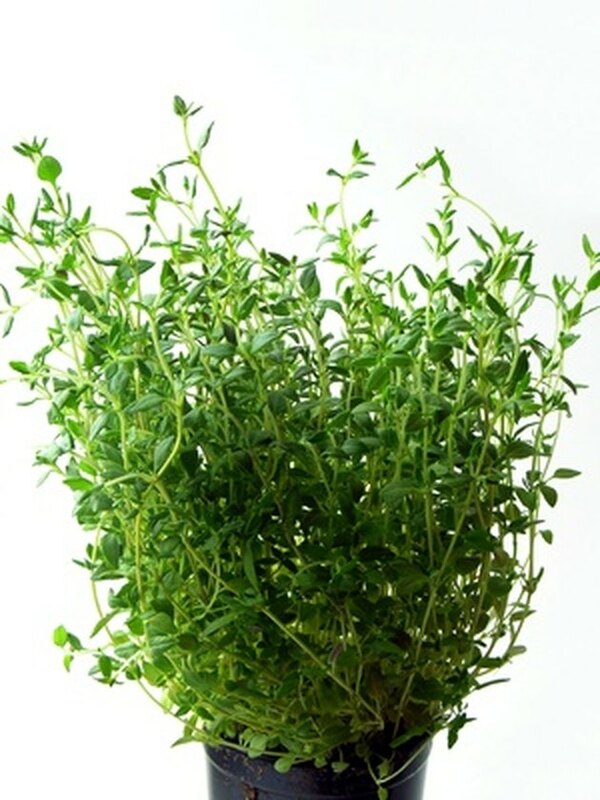 They also have antibacterial activity, according to the University of Michigan Health System, which indicates that thyme may be helpful in treating bronchitis and dry, hacking types of cough. It may also be useful for whooping cough in children. In Europe, thyme is endorsed by federal agencies to treat respiratory problems. Thyme oil may also help combat several forms of fungal microorganisms, including species of Candida, Cryptococcus and Aspergillis, which cause infections in humans that include thrush and gastrointestinal or vaginal yeast infections. In a research study published in "Planta Medica" in 2010, essential oil of thyme was tested and found to rapidly destroy many different fungal microorganisms in the laboratory setting. These results are promising, although further study with human subjects is still needed. Tincture of thyme may also help relieve digestive complaints, including heartburn and gas, possibly by lessening spasms of the intestines. Thyme may also help with bad breath, or halitosis, because its components are active against some bacteria that live in the mouth. Because of this property, thyme extract is a common ingredient in commercial mouthwashes. Tincture of thyme is available from many health food stores. A recommended dose is 1/3 to 1 tsp., three times daily. Thyme tincture is considered to be safe, with no known side effects. However, while the tincture is safe, do not consume pure thyme oil as it may cause vomiting, dizziness and difficulty breathing. Discuss using tincture of thyme with your doctor to decide if it is appropriate for you.